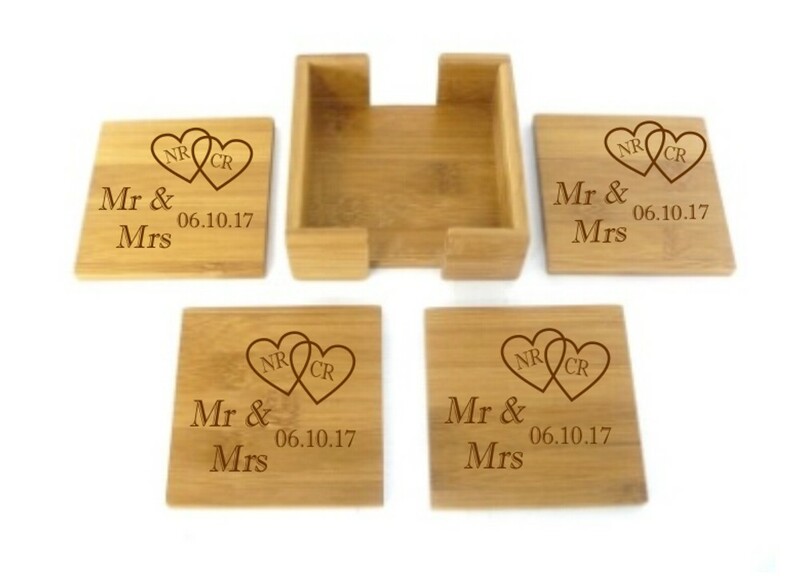 Personalised Engraved Bamboo Mr & Mrs Wooden Square Coasters Set. These amazing coasters come in a set of 4 with the coaster holder as shown. They measure 10cm x 10cm. All you need to do is let us know the initials to go in each heart and the date to be engraved. All 4 coasters will be engraved in the same design. A superb gift for Christmas, Mothers Day, Fathers Day, Anniversaries, Wedding....it's endless! !